Disclosure: Big Fish provided in-game currency in order to allow a more in-depth look at the game's features and mechanics. Additionally, there is an unrelated advertising plan around this editorial coverage, which we wouldn't feel comfortable not disclosing here, although this is not itself a "Sponsored Post." I'd never heard of Dungeon Boss when I saw it at PAX this year, but even just a brief demo was enough to sell me on the title. 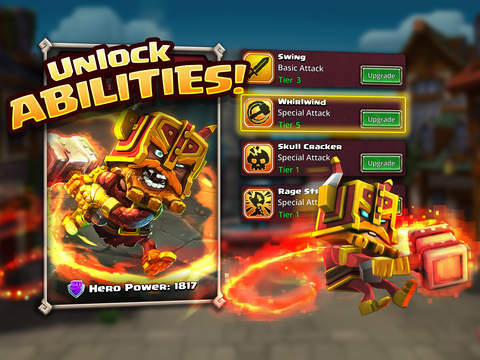 It wasn't long ago that Puzzle and Dragons was basically the best mobile game available, but we've seen a recent swell in the overall game quality as the market finds a broader footing, and developers tweak the working formulas to appeal to more and more gamers. 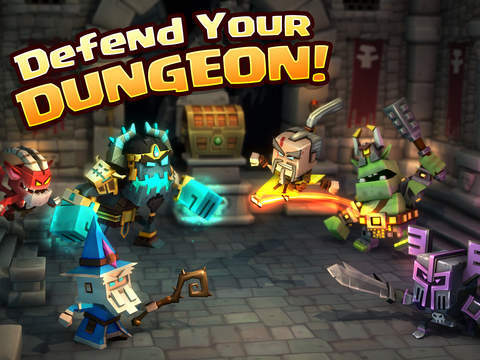 Dungeon Boss takes the basic formula of building a roster of characters, leveling them up and evolving new abilities. The campaign takes you through dozens of dungeons. 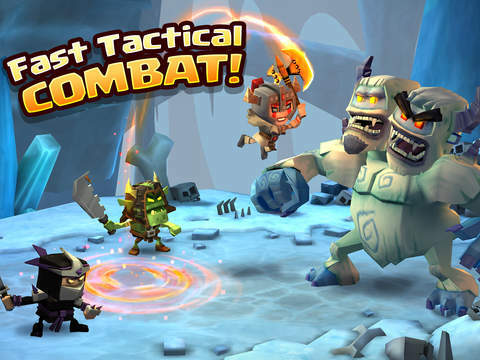 It uses the standard rock paper scissors of elements in a turn-based, RPG-style combat system. 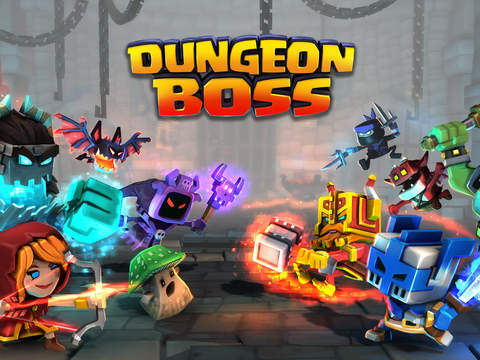 The best part of Dungeon Boss may well be the fact that it's not a match-3 game, instead utilizing the active abilities of some of the classic RPGs. While, as with most mobile games, you can play for free, but there are definitely situations where you'll be inclined to buy currency from the shop, as leveling up a large roster of characters will cost significantly more gold than you can reasonably acquire without hours and hours of grinding. Of course, this also serves a purpose in forcing you to choose which heroes to focus on progressing. There was a recent content update that resolved a number of the irksome aspects effectively. Hero tokens - collectibles that can eventually power up your hero - required you to farm dungeons that took a couple of minutes each. The new "Quick Loot" option from the recent update lets you skip the dungeon run, and just collect the loot, which clears up one of my only major original complaints. It's not always easy to access the Quick Loot feature, but if you can clear a dungeon without any casualties on your side, you'll earn three stars, and have Quick Loot access for the future. Farming "Evo materials" was another source of contention, which has been largely assuaged with a new "Evo Island" which offers higher chances of better materials than regular dungeon farming. And now, with Halloween upon us, they've brought in even more fun with a Halloween-themed aesthetic, including your heroes, who usually wander around town in the menu screen, shuffle along like zombies, as well as quite a few new Halloweeny bosses to contend with in a number of existing dungeons, as well as a Lord Zomm-specific dungeon line, all of which will offer hero tokens to unlock the special event-accessible heroes. Several new islands have arrived in the update, including Evo Island, where each day brings a different theme, and XP and Gold Islands (also know as the Alchemy Lab and the Boss's Secret Stash respectively). On Evo island, which opens when players hit level 15, you can attempt it once per day, but choose your level difficulty. The higher the difficulty, the bigger the reward. A top level chest earned will get you one of eight new Celestial Evos. The themes for Evo island will be Dark (Monday), Water (Tuesday), Fire (Wednesday), Nature (Thursday) and Light (Friday). When you hit level 20, you can tackle The Alchemy Lab once per day for no stamina cost. And be sure click click on the sparklies. That usually means goodies. Rewards will be Hero XP and Potions. And finally, at level 25, you can hit The Boss's Secret Stash. The rules and stamina cost are the same as the Alchemy Lab, with the only difference being that rewards will be gold. 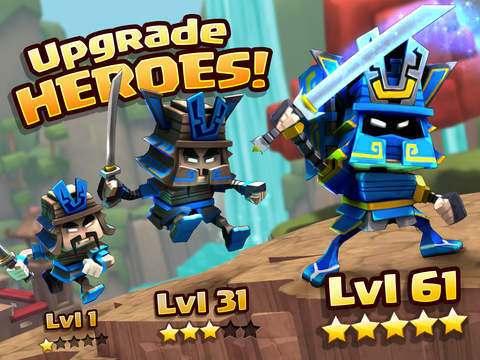 The update also added several new features, including no gold to cost for summoning unlocked heroes; new quests for collecting and leveling Heroes; new quests for 3-starring dungeons; a bit more tutorial for new players on how to use the Shop; and finally successful dungeon raids gain two XP.